From riding around in Ubers throughout Austin, I learned that breakfast tacos were a ~thing~ I had to try before I left the city. So, after doing some quick searching, I found the best ones near where I was staying. 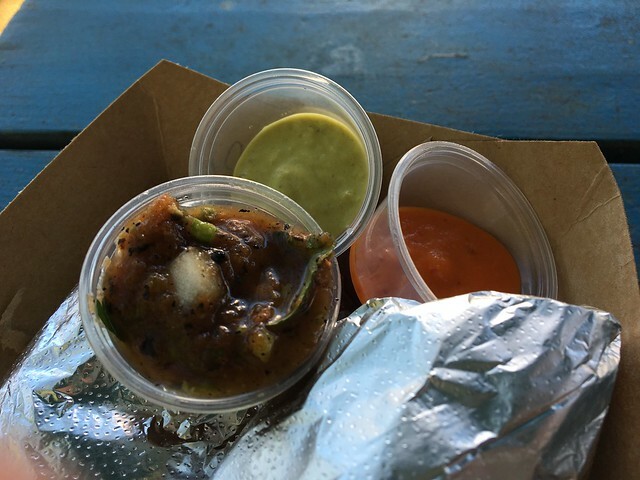 They come from a food truck called Veracruz All Natural - not just any food truck, but one of the most essential food trucks in Austin. We started out in a tiny trailer on East Cesar Chavez selling snow cones, smoothies, and natural drinks. As more and more people started visiting our trailer they asked for food, so we started making tacos and tortas. 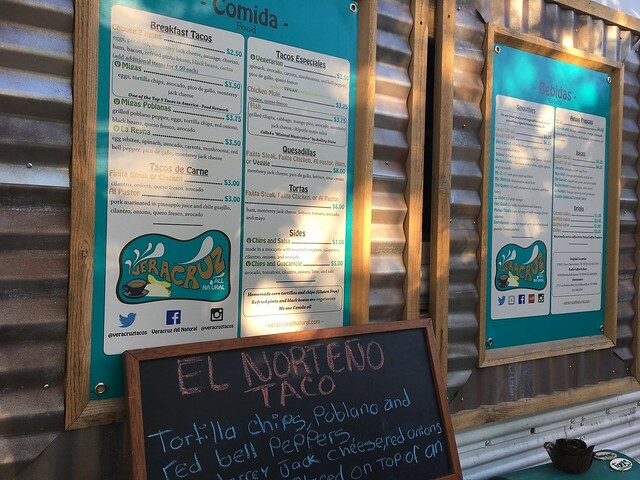 We moved to a larger trailer on E Cesar Chavez, and opened an additional trailer on Manchaca. 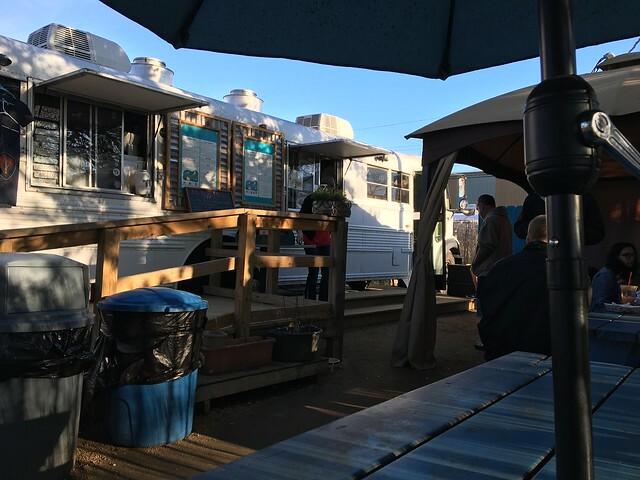 The demand for our tacos continues to grow and we are so grateful for our wonderful clients who come regularly to enjoy our fresh food. 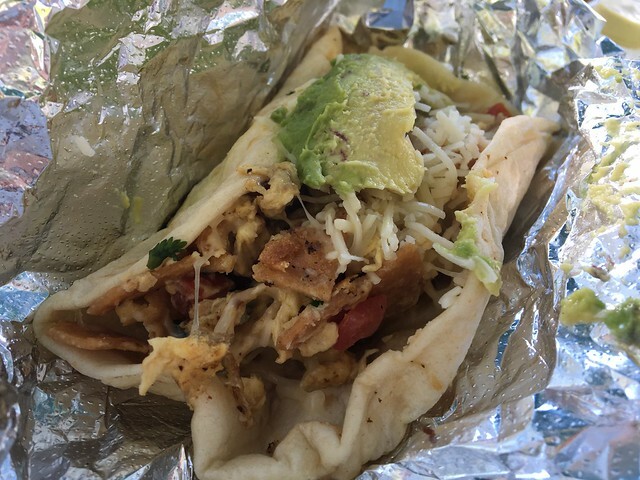 This truck has a whole section dedicated to breakfast tacos, as well as other tacos, quesadillas, tortas and drinks. Reyna and Maritza are sisters and best friends. They were born and raised in Veracruz, Mexico. They moved with their family to Austin, TX after graduating from High School and have lived here ever since. In fact, they love Austin so much that they never want to leave! 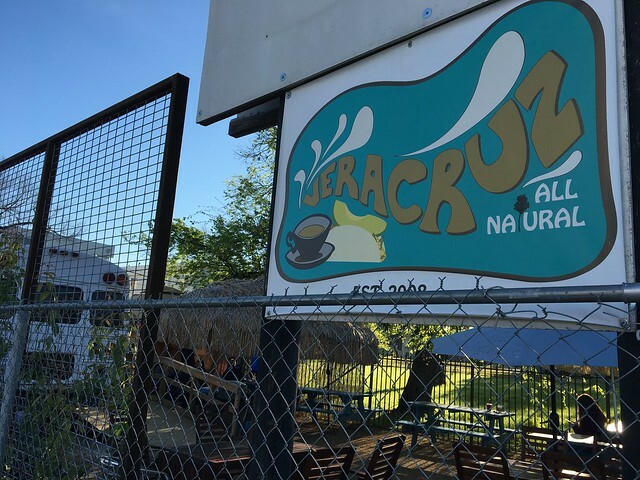 Reyna grew up helping her mother in their family restaurant near the beautiful Veracruzana beach. Starting at a very young age, both her grandmother and mother taught her the ins and outs of the kitchen and she has loved to cook ever since. She especially likes to be creative with her recipes and continually tries to do new things with her cooking. 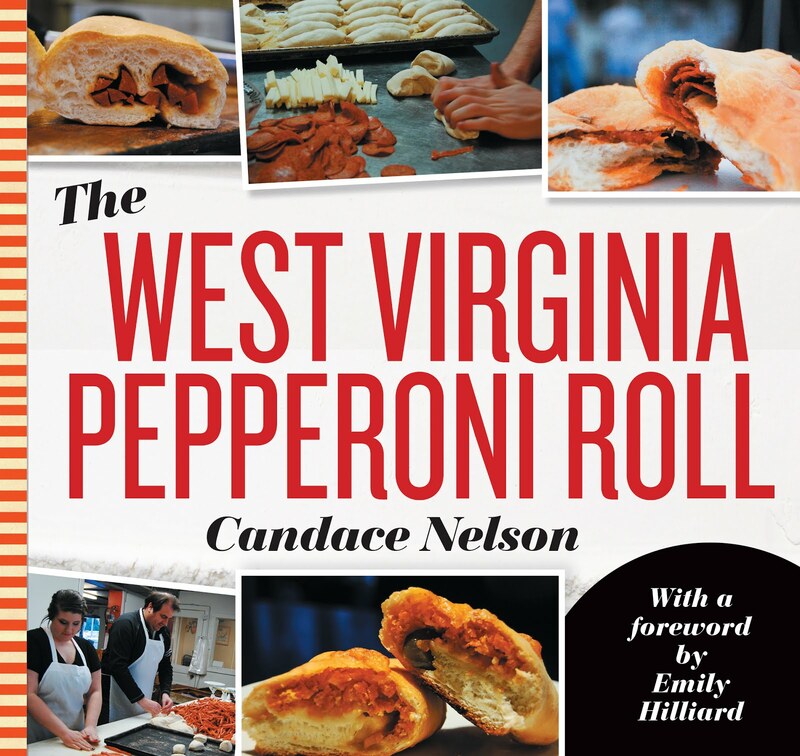 In addition to being creative, she is passionate about using both organic and fresh ingredients in her cooking. So, I ordered one "Migas," which had eggs, tortilla chips, avocado, pico de gallo, and monterey jack cheese. 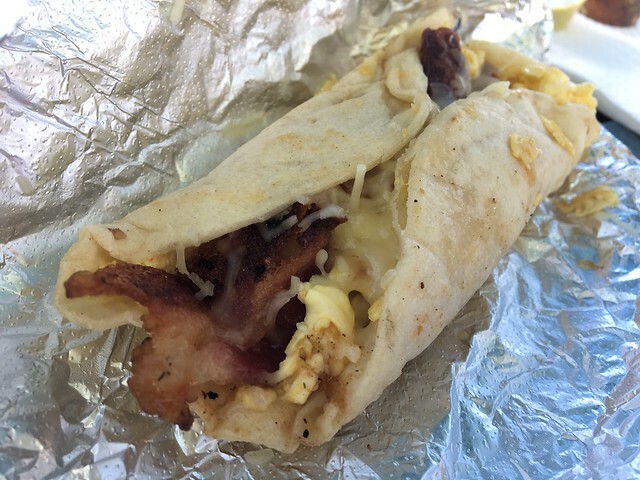 This particular breakfast taco has been named on of the top 5 tacos in America by Food Network. I also got a taco with bacon egg and cheese. The migas was good, but without one of the yummy dipping sauces on the side, it didn't blow me away. I guess tacos are simple by nature, but with such a prestigious award, I was thinking maybe there would be just a bit more. This was a good taco, though, and the bacon/egg/cheese one was good, as well. Just used some extra spice from the dipping sauces. Overall, good tacos. Definitely better with some zing from the sauces.